We’ve met Michaela Z. (26), a German currently living in Shinjuku, Tokyo. 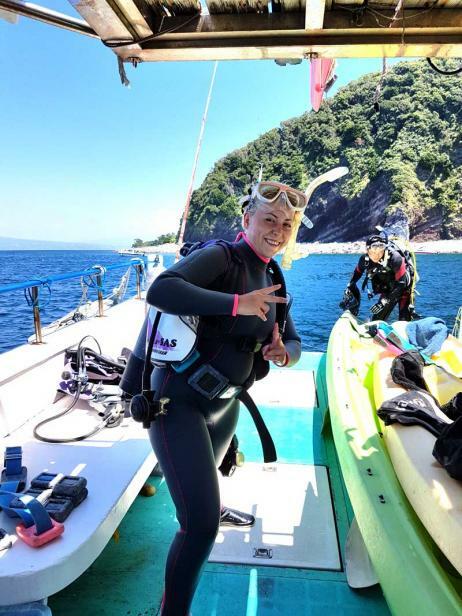 She is in Japan for a Working Holiday and a little more than half a year ago she had the opportunity to job for a scuba diving school in a city in eastern Shizuoka prefecture. 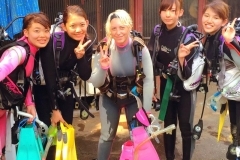 Michaela was working as the diving teacher’s assistant for almost two months before coming back to Tokyo. She told us about her time in Shizuoka. Michaela, how did you land this job? I have been planning for quite a long time to travel to Japan. 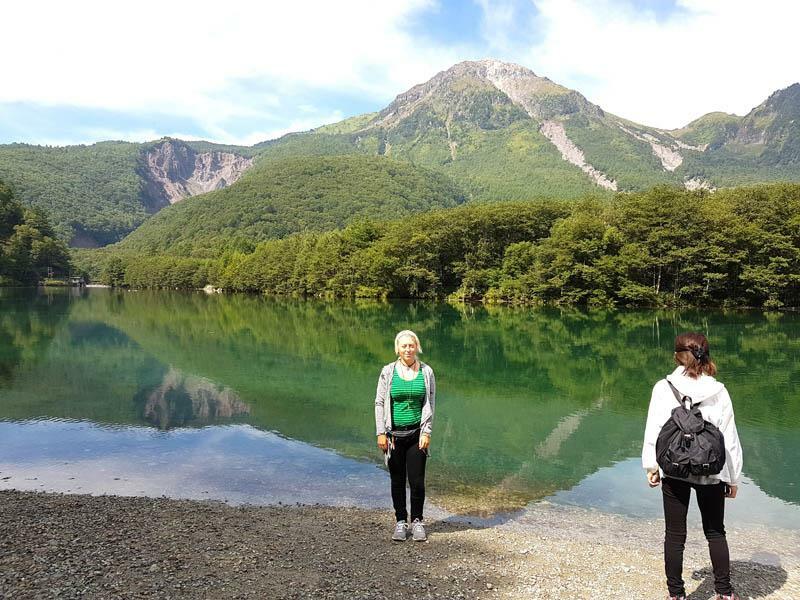 As I wanted to really immerse myself in the Japanese culture, I decided to come for a long Working Holiday, because working naturally gives you a deeper insight into a foreign culture than, for instance, a short trip. Due to the fact that I wanted to start my adventure on a short notice, I felt safer being supported and therefore decided to use the service of World Unite!. 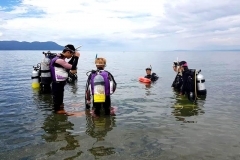 They also helped me to find the job in the scuba diving school in Shizuoka. I simply informed them about my wishes: with a university degree in Hotel and Tourism Management I wanted to find a job related to this area, prior to my departure to Japan. I was introduced to the scuba diving school and got hired for the summer. From when to when have you been working for the diving school? And what were your general working hours? I came to Japan in summer 2016 and after a few days of living in a share house in Tokyo and getting used to the new thermal environment I took the train to Shizuoka to start my work. My new Japanese boss, the diving school’s owner and teacher, welcomed me warmly. Originally I was asked to work there for one month, but as I liked the job and my boss was pleased with how I was supporting him and felt that I was a reliable worker, I could stay a few more weeks. After that I went back to Tokyo. There were no fixed daily working hours. But usually the working day started at around 7 am and ended at around 3 pm. Before, during and after the diving lessons the customers had to be taken care of. As long as that was assured, everything was fine. Once a week I could take a day off. But also on working days I had quite an amount of free time, too. When my boss had time, he took me on short trips into the hinterland of Shizuokas. One time a neighbor, the owner of a hotel, took me with him for a hike in the Japanese alps. Special skills or previous knowledge about diving or anything weren’t required. I was taught everything I needed to know within the first few days of working. During these days I have been assistant and student at the same time. I even made my diver’s licence after three days. Although, I also have to admit that it was a plus to already have made experiences in the hotel and restaurant business back in my days as a student. My boss didn’t need to explain everything to me twice, as I kind of knew what needed to be done. 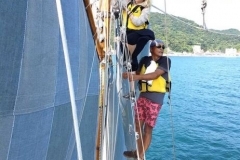 Not only during the diving courses, but also when it came to care for the customers who stayed at the school owner’s guest house. The house is located right next to the ocean. It was such an amazing view! How much did you earn? Was it enough to cover your living expenses? Instead of a salary I received free accommodation at my boss’s house and free catering during my whole stay. Also entry fees for several locations such as museums and hot springs were covered. But I had to pay for my first diver’s licence. Therefore I had to come to Japan with a little bit of savings. Luckily I could do my second diver’s licence for free, though. In late summer, when the diving season came to an end slowly but surely and the diving school became less busy, I started to help out at the neighbor’s Hotel for a few days. I received 10,000 JPY a day for that. What were your duties at the diving school? I was basically assisting the owner of the school with his daily work. For instance I needed to prepare the equipment for the diving lessons, explain essential rules to the students and look out for them during the diving. My boss isn’t only running the school, but is also lending his boat to his customers for day trips including BBQ and water sports. 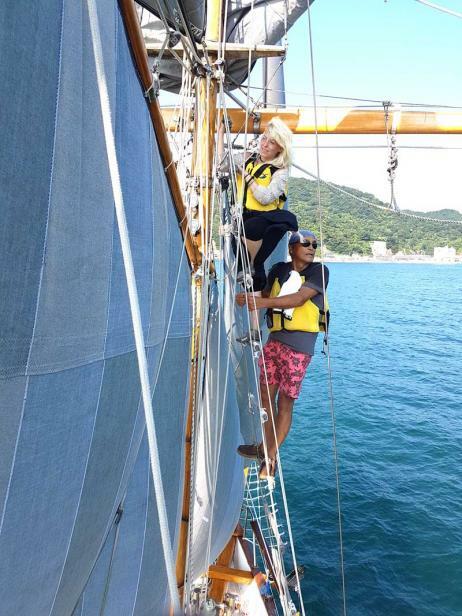 My task was to welcome the customers and accompany them during their boat trip. While the diving teacher has been snorkeling with some of his students, I needed to watch out for the safety of the on the boat remaining customers. 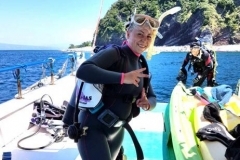 Besides the main business of diving lessons and boat trips, the school’s teacher is also running a guest house. My tasks were to prepare the breakfast, do the laundry, clean the house or make the beds. As it was a traditional Japanese house with wooden floors, a lot of windows and tatami mat floors in the guest rooms, the maintenance asked for a careful treatment. Sometimes I did some gardening, too. Did you enjoy the job? And what didn’t you like about it? I was enjoying my time in Shizuoka to the fullest. Supporting my boss with his work was a lot of fun and I loved the location. The only disadvantage I saw was that I didn’t have a driver’s license or a car. In the area the school is located, you really need a car to get somewhere. But well, I had a bicycle, so I often used it for rides along the promenade. Day or night, I could always use my free time to relax at the sea side behind the house. Doing so I had the rare chance to see the blue marine phosphorescence at night. 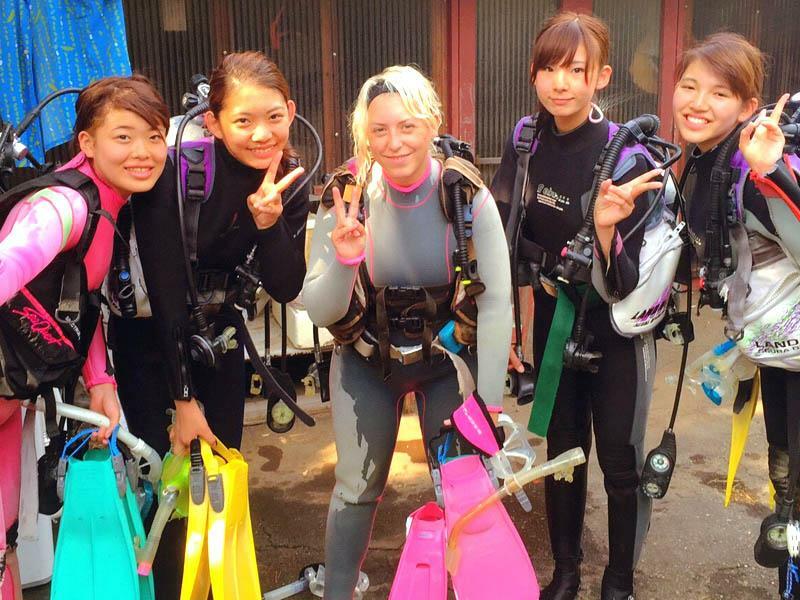 Do you think Working for the diving school helped you improving your Japanese? My boss spoke English fluently, therefore it wasn’t difficult to communicate with him. When we both had spare time he taught me some Japanese. During the breakfast with the guests he even asked them to practice their English on me. And the other way around, I was asked to try to speak in Japanese to them. Most of the guests were girls of my age, so we spent our free time together, too. They enjoyed teaching me new words. That helped me to improve my Japanese a little bit. We used to speak in a mix of Japanese and English. In addition, my boss’s girlfriend, a Japanese language teacher, visited us quite often on the weekends. She used to live in Austria some years ago and knows some German, so she helped me understanding Japanese grammar and words. Besides the language aspect, what did you learn doing the job? 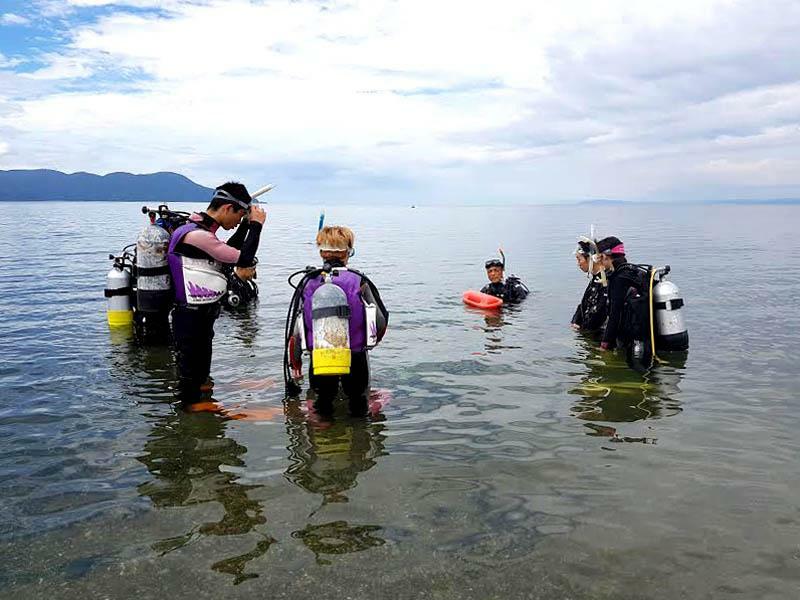 I was working and learning at the same time, because I had never used any kind of diving gear before. I had the chance to complete two diver’s licences and also a first aid course. Preparing the breakfast, sometimes alone, sometimes together with he guests, I learned a lot of traditional Japanese recipes, which I’m planning to use even after going back to Germany in a few months. Besides that I had the opportunity to attend Japanese traditional tea ceremonies several times, as my boss is a trained tea ceremony master. 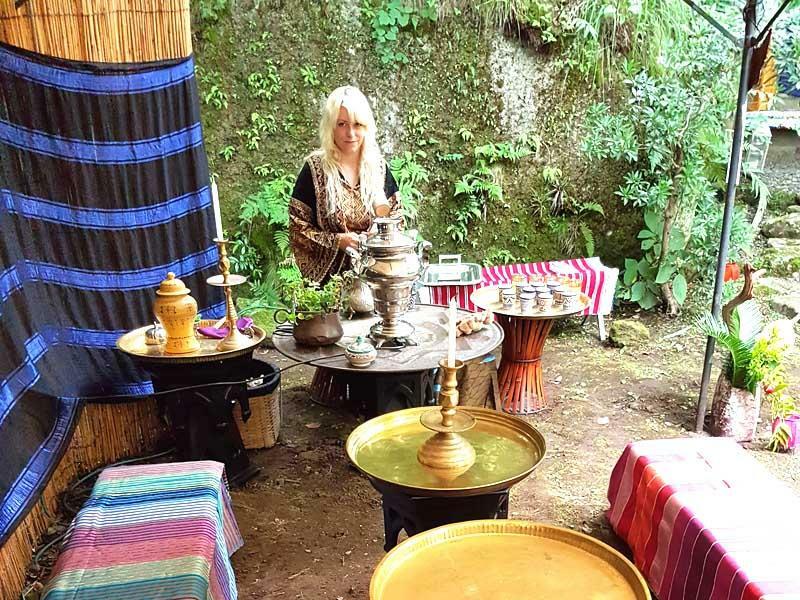 I got to know a lot about not only the famous Japanese green tea, but also about Moroccan tea making we even presented the country Morocco on a tea festival in Hakone, where we were handing out mint tea to the visitors in traditional clothing. As I was in charge of arranging our booth, I could live out my passion for decorating. What brought you to Japan to in the first place? What are you doing now back in Tokyo? I’ve been interested in Japan’s culture and tradition since I’ve been a teenager. I guess most people start being fascinated by Japan in the first place through anime and manga, Japanese cartoons and comics, but for me it has been Japanese rock, pop and also traditional music that is captivating me since then. Listening to all kinds of Japanese music also made me fall in love with the Japanese language. I’m hoping to improve my language skills by doing this Working Holiday. I’ve actually been in Japan before once in 2009 for a short term cultural exchange program. During this time and also during the time in Germany when I was studying Japanese on my own, I got to know some Japanese people who became close friends of mine. Therefore I’m also using this Working Holiday as an opportunity to meet those people again. Right now I am living here in Shinjuku, Tokyo. While working as a part-timer, I’m trying to meet new people and old friends, as well as attending concerts of musicians that I most likely can never see live back in Germany. On the weekends I usually make short trips to cities nearby. You were lucky fortunate to get a chance to visit Japan which is disciplined. , respectful , obey traditions. , honest. , self regulated , short of words to praise people .